Twyla and Roberta meet each other in an orphanage, where they both temporarily stay when their mothers are recovering. Roberta's mother was sick but Twyla's mother was seen as an unfit mother. Because they were not true orphans, they were paired together in a room by themselves. They enjoyed having this room and switching about. However, they were first very pt off by one another because they were of different races. One of the few things that Twyla's mother told her was to beware of other races. Twyla says this and the caretaker scolds her slightly though Roberta doesn't take as much offense. The two slowly become friendly and are often referred to as salt and pepper. The two bond well enough in the environment as outsiders among outsiders. A month later, their mothers both come for a visit. Roberta's mother is a big woman with a large cross and Bible while Twyla's mother appears in clothing that Twyla is ashamed off. The mothers show disrespect for one another and the two girls are split during the visitation. Later on, they find solace in the ways their mothers are challenging for them. The story jumps to a few years later when Twyla is working at a diner and runs into Roberta again. Roberta is with two guys and they are headed to a Hendrix concert. Roberta is mean towards Twyla for no real reason and it angers Twyla. Years later, after Twyla has married and a child, she runs into Roberta again at a grocery store. The two appear to hit it off this time, but when Twyla presses her about what happened at the diner, Roberta tries to pass it off and this further angers her. Some time later, Twyla finds her child stuck in the middle of desegregation and that she has to take her boy to another school. While checking out that school, she finds Roberta as one of the picketing mothers. The two talk again and Roberta is more confrontational like the time in the diner. The women with her begin to rock Twyla's car and before leaving, Roberta calls Twyla a hypocrite because as kids at the orphanage, she picked on a black woman and even beat her. Twyla knows this to not be true and is enraged by the comment. Twyla starts to picket with women who are for desegregation with increasingly strange signs that are geared specifically to Roberta. Roberta eventually quits after Twyla makes a sign about Roberta's mother. A few years later, Twyla runs into Roberta again at a diner and this time, Roberta apologizes for everything including lying about Twyla' hurting someone. Twyla listens and leaves without any interested in making up. With the Civil Rights movement and desegregation as the backdrop to this story, there is a lot going on between the two women. However, layered upon this is an entire religious dynamic with characters being named Mary, Maggie, events occurring near holy days (Easter and Christmas), and of course, much of the story taking place at a religious place (an orphanage run by a church). 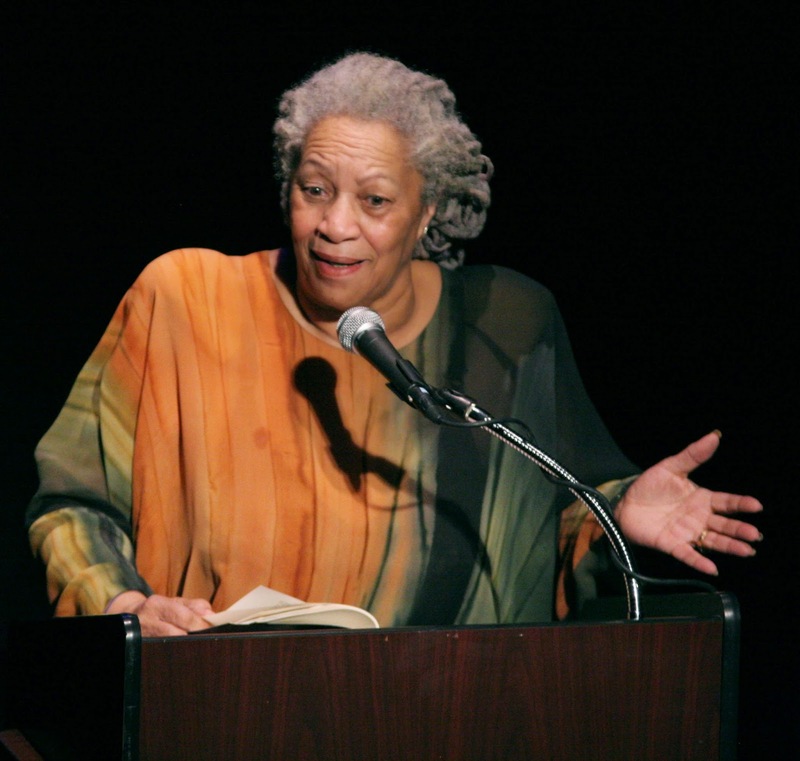 And of course, it's Toni Morrison, so that adds eve more. There's a further layer in that name of the story itself which is a musical reference that hints at the dynamics of dialogue and rhythm within the story.